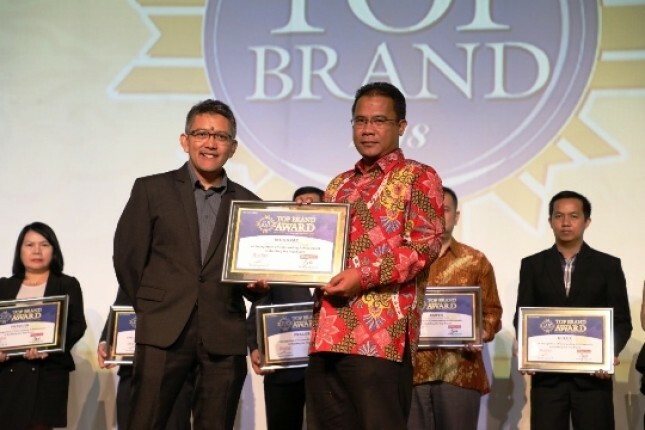 INDUSTRY.co.id - Jakarta - IndiHome as one of the products and the flagship brand of PT Telkom Indonesia Tbk (Telkom) this year again won the TOP Brand Award for Best Fixed Internet Service Provider category. The award was submitted in Jakarta, Tuesday (20/2). Telkom's Consumer Service Director Mas'ud Khamid expressed his gratitude for the award given to IndiHome. "The awards we have received for three consecutive years show that IndiHome products are top of mind and trusted as the best. We thank you for the trust of customers and society for IndiHome products," said Mas'ud. Mas'ud continued, "IndiHome Triple Play is one of our product innovations that matches the character and needs of the people of Indonesia which today cannot be separated from digital technology, especially high speed internet connection and interactive television service with a variety of educative family entertainment content," Continued Mas'ud. IndiHome is a Telkom product that provides high speed internet access up to 100 Mbps using fiber optic technology. Besides internet, IndiHome also provides interactive television service (UseeTV) and home phone. Until early 2018, IndiHome has more than 3 million subscribers spread throughout Indonesia. "This award is a reference for us to provide the best service to customers. This achievement also makes us optimistic to always create the best digital experiences that support the digital lifestyle of the family and the people of Indonesia," Mas'ud concluded. TOP Brand is the highest award given by Marketing Magazine and Frontier Consultant for brands that successfully established its brand equity. Research conducted by Frontier Consulting Group involves 14,000 respondents spread in 15 regions, including Jakarta, Bandung, Surabaya, Medan, Makassar, Pekanbaru, Balikpapan, Palembang, Samarinda, Denpasar, Jogjakarta, Malang, Manado, and Banjarmasin. In addition to direct interviews (face to face interview), research data was also collected through questionnaires as an instrument of data collection.